Book your stay at the best rate available! 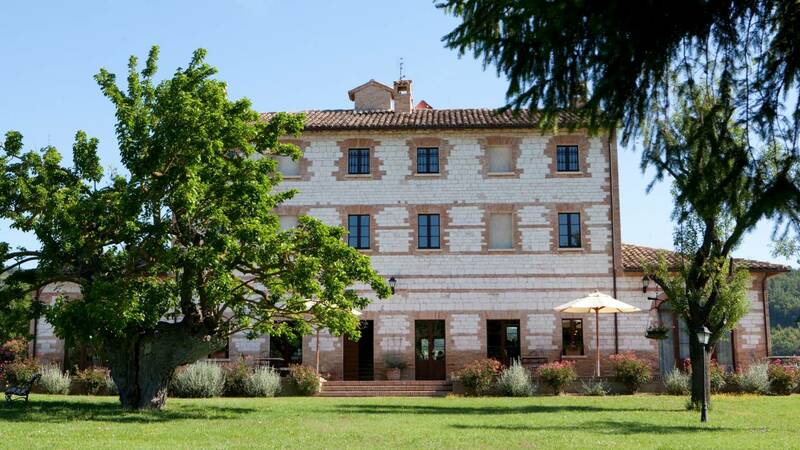 The Parco Ducale is a beautiful country house nestling in the lush green of the Marche countryside, just one kilometre from the center of the town of Urbania, the home of fine Renaissance ceramics and wonderful food. 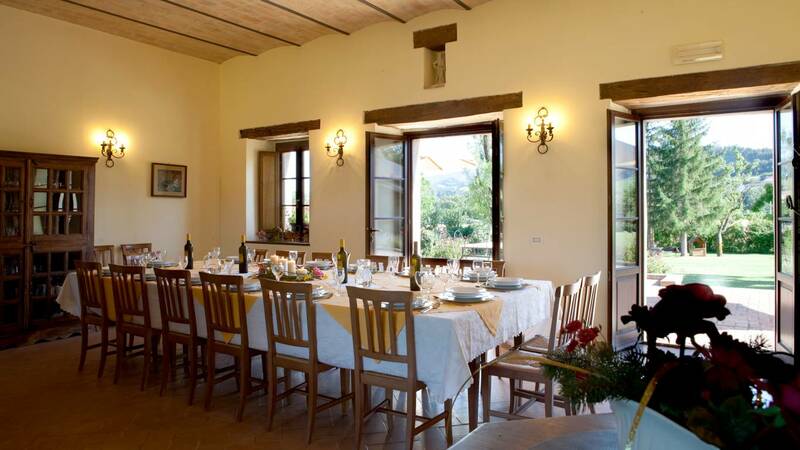 The Parco Ducale Country House is made up of a central country house dating back to 1800. 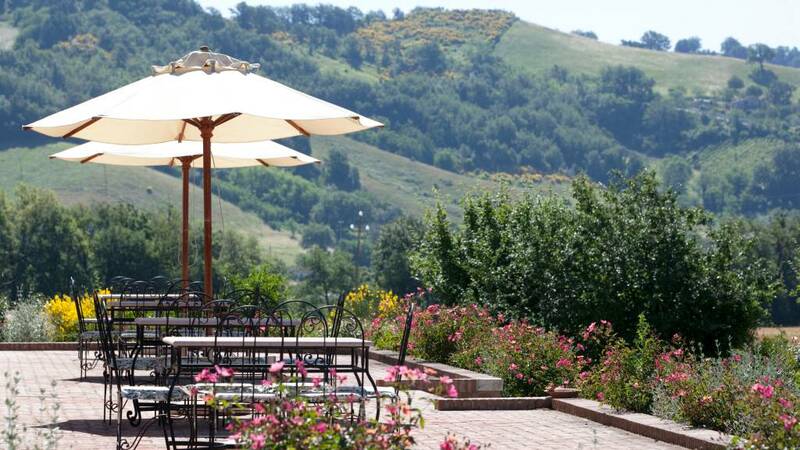 On the ground floor of the main building you will find the reception, the bar area and a large lounge, which is a welcome relaxing space for guests after leisurely walks in the surrounding hills or trips to the nearby towns of Urbino, Pesaro, Fano, San Leo and Gubbio. An old fireplace warms the lounge on colder evenings which makes it an ideal place for sipping a glass of fine wine or reading a good book on comfortable sofas. For exercise enthusiasts there is ample opportunity to to run or walk in the adjacent parkland. On the two upper floors you will find the light, bright bedrooms, six doubles and five two-room suites with kitchenette, all rooms have an ensuite bathroom, a television and minibar. 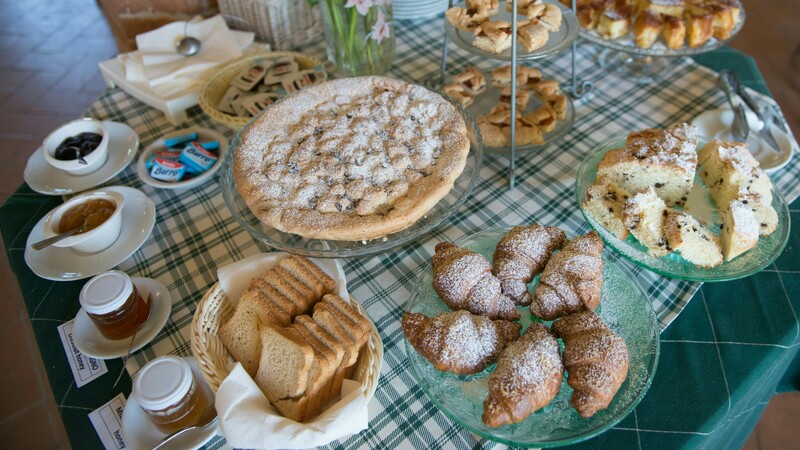 Breakfast is served in the dining room: homemade pastries, croissants and cappuccino make a delicious start to the day before setting out on a day trip to the some of the many beautiful Montefeltro sights or just a day of relaxation. For our guests’ enjoyment there is a private pool with sun loungers and deckchairs for relaxing on sunny days. 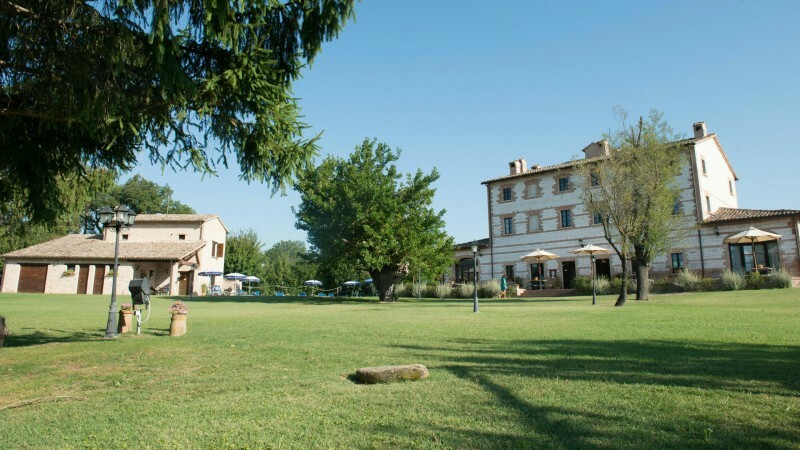 The grounds are maintained with great care and passion, the verdant lawns and fragrant rose bushes are inviting and relaxing and you can also enjoy the welcome shade of the mulberry tree that stands in the centre of the grounds in front of the entrance to the Parco Ducale Country House. 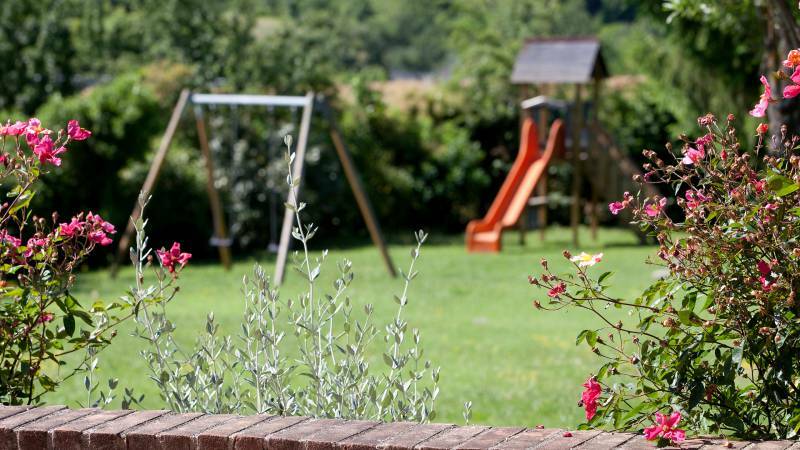 The Parco Ducale Country House is surrounded by a beautifully enclosed garden where children can play in complete safety, they also have their own well equipped play area within the garden. Relax in comfort in our beautiful garden where you can watch many local species of birds who make their home in the garden. In spring and summer the Parco Ducale welcomes the return of swallows who nest in the area. This is truly a nature lovers’ paradise. At the Parco Ducale Country House we take great pride in these beautiful friends who visit us every year. The Parco Ducale is also home to our own pet dogs and cats. 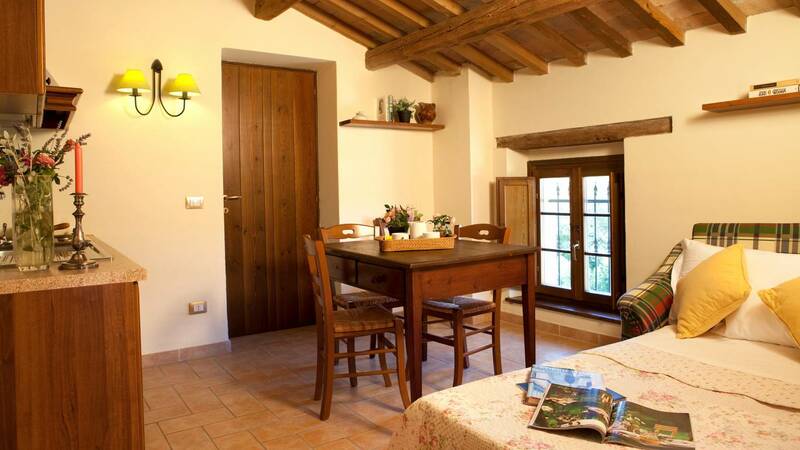 The Parco Ducale Country House offers 6 double rooms (which are also available for single occupancy) and 5 suites, some of which feature exposed beams. 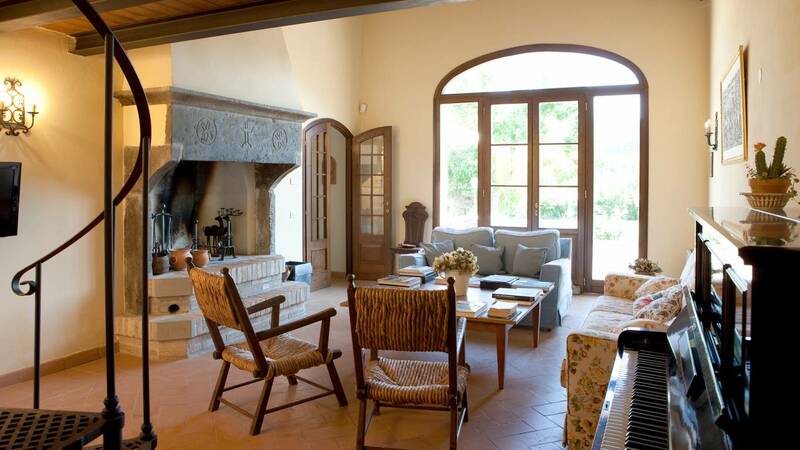 The careful restoration has been achieved while maintaining the original features of the building; the furniture is in the Arte Povera style, typical of many country houses. 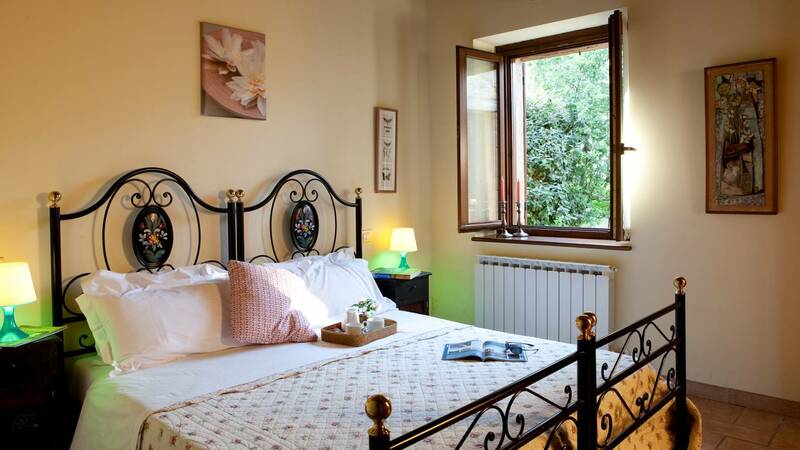 All rooms at the Parco Ducale Country House have a simple style that blends with the beauty of the surrounding hills; all are recently renovated and are equipped with all modern comforts whilst maintaing the cozy and relaxing atmosphere that distinguishes our country house. The rooms are simply furnished and are equipped with air conditioning, television and minbar. The windows all look out on the beautiful parklands. The exposed beams in many rooms adds to the charm and character of the property. The bathrooms feature bathtubs or showers, hair dryers, and complimentary toiletries. The two-room suites, as well as a generous double bedroom, have a comfortable living room with a table and chairs, a fully equipped kitchenette and a comfortable sofa bed. From the living room you access the master bedroom, the suites are spacious and very light, ready to welcome you after your trips and walks. The two-room suites can comfortably accommodate families with children, giving you the possibility to alternate visits to Urbania's restaurants with more intimate dinners using the kitchenette which is equipped with everything you need. Some suites directly overlook the Barco, the former summer residence of the Dukes of Urbino, which stands a few metres from the country house. 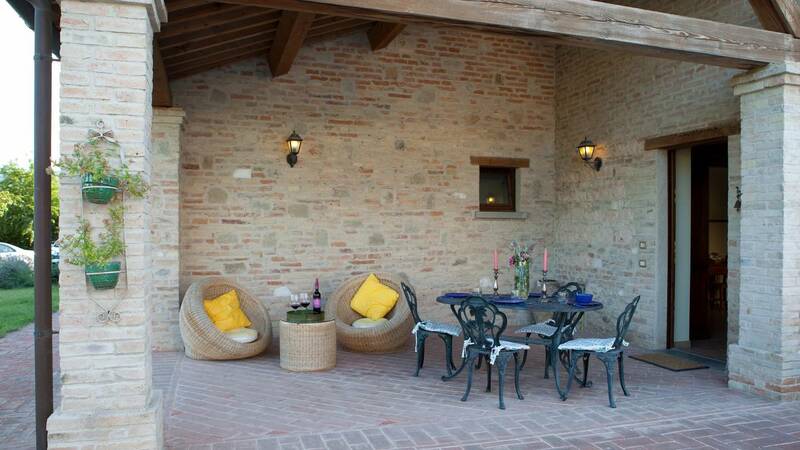 The Parco Ducale Country House stands out among the country houses in the province of Pesaro-Urbino for the high quality of the services offered. 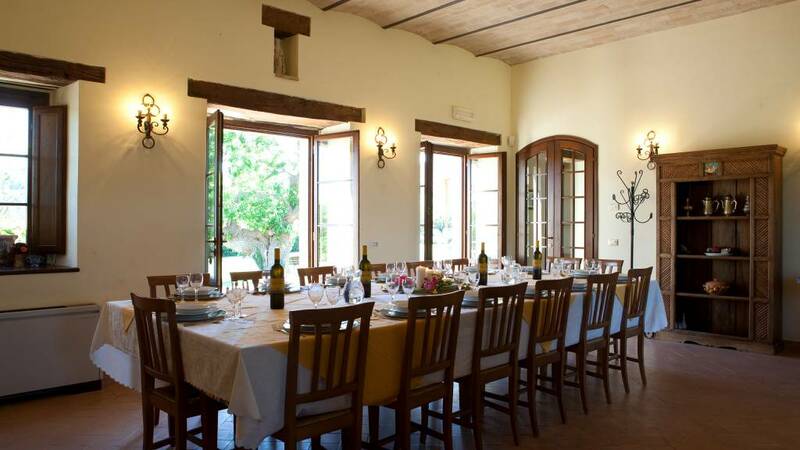 A large and bright dining room is reserved for our guests here at the Parco Ducale. Buffet breakfasts are served with both sweet and savoury items and homemade cakes. Dinners are organized, with typical local produce, for groups of at least 10/15 people. In the summer you can sit at the tables on the terrace and enjoy the tranquility of the surrounding countryside. A beautiful swimming pool is ready to welcome you back from hiking in the area. • Trekking and walking tours: we are available to provide you with maps and information about walks on nearby mountains, with professional guide on request. • Mountain biking and road biking: we can arrange cycle hire for you to take part in excursions that range from the most gentle ride to the most demanding. • Ceramics Courses: In workshops in the historic centre of Urbania, regular courses are also organized on Renaissance techniques. • Cooking classes: regularly offered - information available at reception. • Painting courses: regularly offered - information available at reception. children’s English courses all with a qualified teacher. • Historical and artistic excursions to the nearby towns and cities: information available at reception. • Cleaning service: all rooms are cleaned from 10.30 to 12.30; the linen is changed weekly. Guests can request a more frequent linen change at a small additional cost. 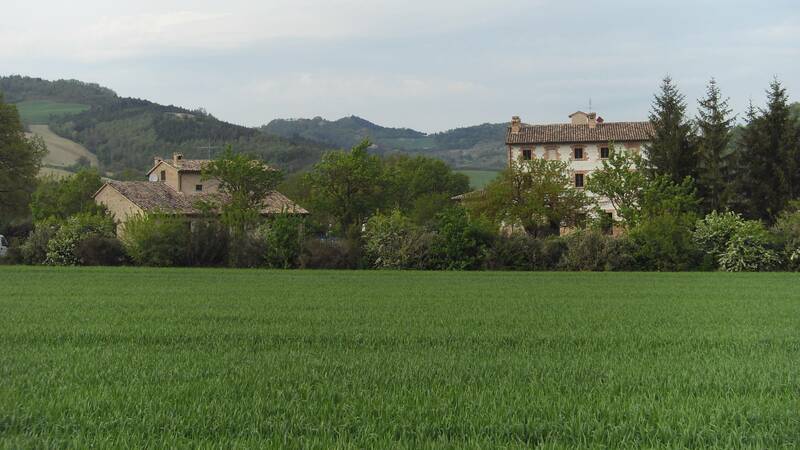 Next to our country house is the "Barco", a splendid, charming building, a former hunting lodge of the Dukes of Urbino which sits in a tree lined meadow. The Barco di Casteldurante (the ancient name of Urbania) was once a country retreat for famous humanists and poets of the Renaissance, including Torquato Tasso and Ludovico Ariosto. The site is linked to the Ducal Palace in Urbania by a mile of river that in olden days was the route of knights and ladies. In the mid 1700s the Barco became a convent and was modified internally by the inclusion of the church of St. John the Baptist. The Barco has been completely and beautifully refurbished. To admire it, simply look out of your bedroom window. The town center of Urbania (Piazza di San Cristoforo) can be reached easily on foot just a few minutes away from our property along a pedestrian and cycle track. We organise personalised Italian language and culture courses, courses provided in the delighful setting of the Parco Ducale in the heart of the Marche countryside. Qualified teachers will guide your learning and help you to progress and provide all the necessary study materials. Together with your teacher you will have fun talking Italian, in a friendly and informal atmosphere. Individual course of 4 hours: 150 euros. One hour private lesson for 2 people of the same level: 30 euros per head. 4 hours course for 2 people of the same level: 110 euros per head.